In 1785 the vast, ‘vacant’ territory of the American west was mapped and made habitable through the division of land into 6 mile square townships: the Jeffersonian Grid. The stunning vacancy in Detroit’s urban center has transformed a once densely populated city of subdivided parcels into a collection of tiny lots surrounded by empty territory. This contemporary vacancy calls for an inverse strategy of ‘Superdivision’: a scaling up occupied territory and repurposing of unused infrastructure. 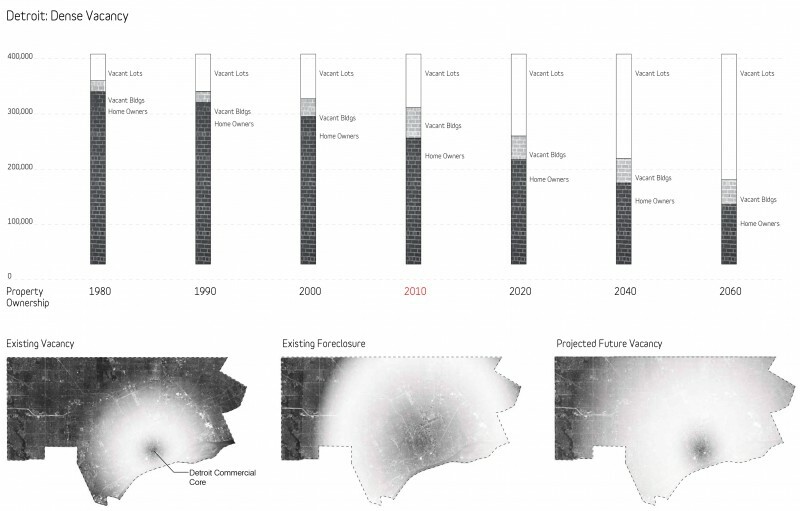 Given that an infrastructure built for over 1.5 million will soon serve less than half that many, the project proposes a strategy of re-territorialization rather than construction. 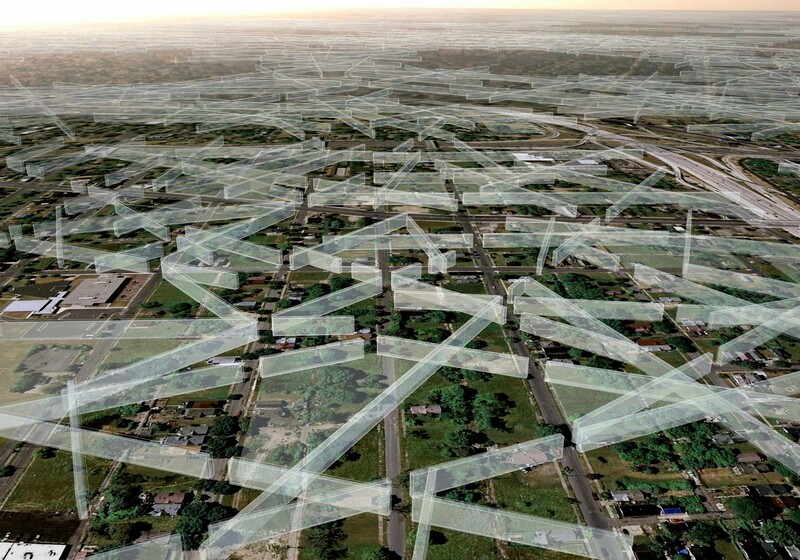 The hedgerow, as a technique of rural landscape division may be able to stave off the city’s urban decay by defining new, super-scaled, and occupied territories. 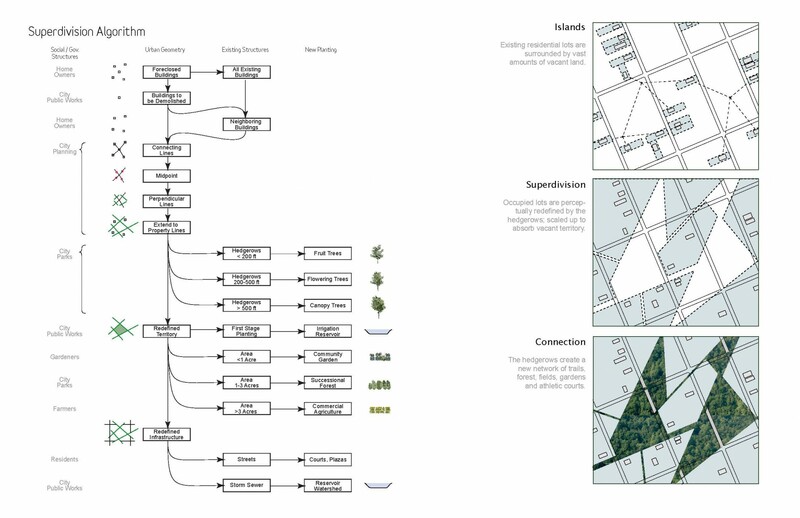 We propose an algorithmic and interactive tree planting in publicly owned parcels to form both a connective network of trails and a set of preliminary boundaries, scaling up the existing pattern of property ownership to suit the collapsing population. 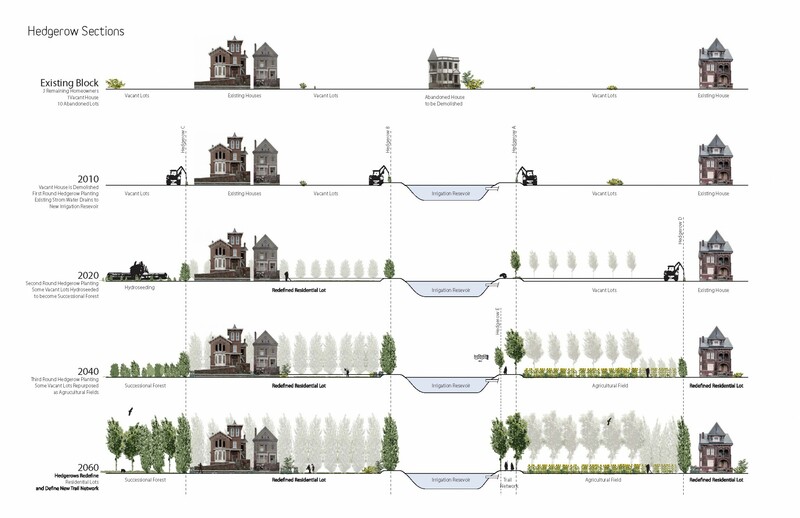 Rather than resisting the city’s inevitable depopulation over the next several decades, the superdivision channels and manages that depopulation, eventually stabilizing home ownership as an archipelago of dense neighborhoods. As an algorithm, the proposal is both geometric and social, involving homeowners, banks, local government and emerging rural populations: farmers, fauna and wildlife. 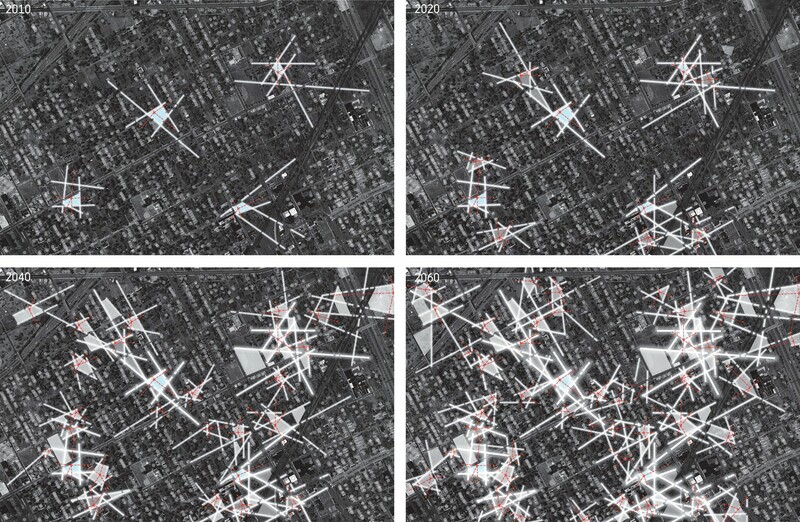 Based on built year-by-year patterns of demolition and overall density, the program pinpoints an annual set of hedgerows to be planted, allowing nearby parcels to be rededicated for community gardens, commercial agriculture or successional forest. 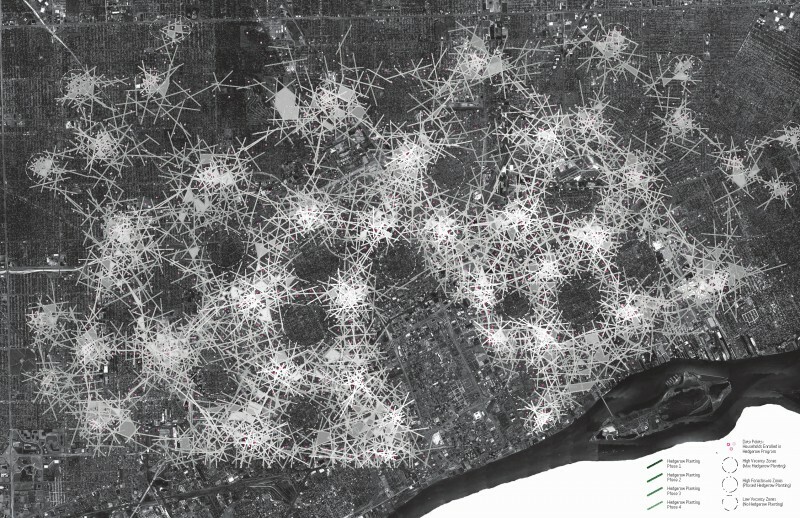 Initially a set of ecological nodes, the hedgerows eventually grow together into an interconnected network that collects the remaining houses as a set of distinct, vital neighborhoods.